A Baltimore City cop who attempted to hold his fellow officers accountable for on the job misconduct has been intimidated to the point of leaving the police force entirely. Detective Joe Crystal became a target of intimidation for his entire department after testifying against other officers in a misconduct case. Following his testimony, he received threats from other officers, and even found a dead rat on his car one day. “He saw a wrong and decided he couldn’t live with himself and did the right thing and was punished, I think that’s just unbelievable,” Nicholas Panteleakis, Crystal’s lawyer said. “They don’t care about anything but saving their money and saving their hide. It’s absolutely ridiculous with what this man has gone through. 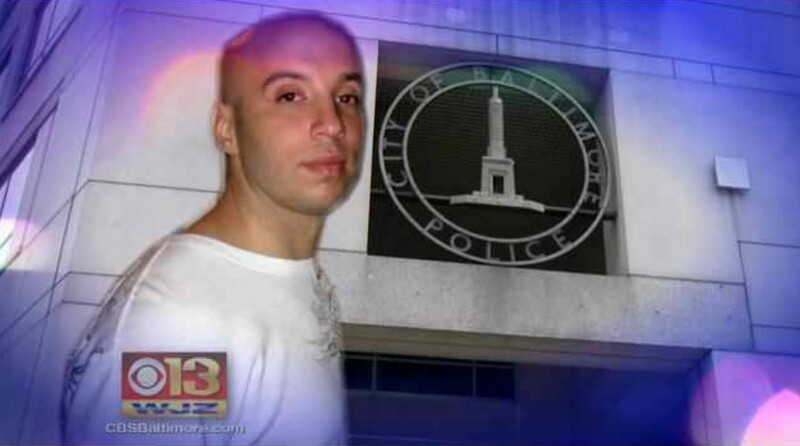 One, it lets the Baltimore City police know they were wrong, know that they’ve done numerous things against him that were wrong,” Panteleakis added. Crystal has currently filed a lawsuit against the department for the intimidation that he has encountered, but the department has responded by opening up an investigation into Crystal’s activities while on duty. In the course of their investigation, they accused Crystal of misusing his take home vehicle, stemming from a time where he took his wife home in the car. The department then offered to drop their investigation if Crystal would drop his lawsuit against them, but he has refused. The case is still ongoing, but this week Crystal turned in his badge to the department and will no longer be a member of the police force. Last week, we covered the story of Sgt. Brandon Ruff, an eight-year veteran of the Philadelphia Police force, who filed a police brutality lawsuit against his own Department. Additionally, we also conducted an exclusive interview with Dawon Gore of the St. Louis Police Department, who lost his job after driving a man home instead of arresting him. We frequently define a “good cop” as one who tries to stop the bad ones. If this is the common response to “good cops” it’s no wonder why there are so few.